Although the National Automobile Dealers Association (NADA) is a trade association for auto dealers, it also has a consumer website to help people buy new and used cars. NADA receives information from dealers, lending institutions, insurance companies, auction houses and other sources, then compiles and averages it to determine a fair evaluation price on any used vehicle dating back to 1990. Every month NADA processes over half a million pieces of data to ensure it publishes the most accurate prices. 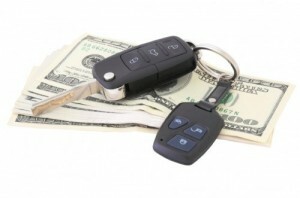 Some critics claim that NADA’s prices favor dealers, not consumers. Testing the pricing on a 2005 Chevy Malibu revealed that NADA’s suggested trade values were higher by about $150 in favor of the consumer. There was also a slight difference in the suggested retail value: Kelly Blue Book valued the car at $10,765 and NADA valued it at $10,175. While the same pricing structure may not be the same for all makes and models, in this example NADA’s consumer site provided a fair valuation. Of course, like all car evaluation websites, NADA’s prices are subjective and can vary greatly due to supply and demand. A surplus of a particular car will probably make it worth less than NADA’s valuation. If a vehicle is a highly desirable make or color, it will likely be worth more than NADA’s pricing. Whether you want to sell, trade in or buy a used vehicle, make sure to check NADA for car pricing. Then check other sites such as Kelly Blue Book and Edmunds. From this info, you should be able to establish a realistic price range to use as a guide and get the best deal.